Clean, easy setup, feels secure! Had an easy experience booking, selecting and moving into a unit. We needed a place to use for a few months during a remodel and itâs been a pain-free experience! It was one less thing to worry about with so much else going right now! I reserved a unit the day before and everything was ready for me the day of move in Yazmin was so incredibly helpful, knowledgeable and made the process for this first-timer insanely easy! Prices are very fair for the Austin-area and their facility is top notch. 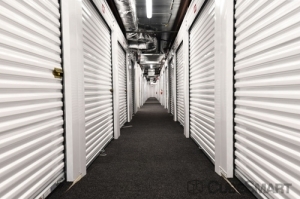 Storage units are great, well-kept, spacious, and the staff is friendly and accomodating. Great price and great orientation by your capable staff. I was very pleased by the service that I received. Everything was crystal clear and all of my questions were answered. Clean, good service, two thumbs up! Very clean and nice people. And was very affordable. Clean and accessible but storage was different than advertised. The facility was new, clean, and accessible, and offers good hours. However, I was given two smaller units as opposed to the one larger unit I reserved, which was a bit disappointing. This also required me to purchase two smaller locks, instead of one. The lock and insurance fees were previously undisclosed which was also a bit misleading. Overall, a good experience though. I needed a unit fast and the storage manager delivered! Also, the place is conveniently located and clean. Only complaint is that they force you to take out an insurance policy on the unit. In addition, they offer the middle insurance option and only while signing all the documents did I realize that there was a lower price option. Other than that, I am very satisfied. I believe the guy that helped me was Kenn , if I'm wrong please forgive me. Either way they were a great help very professional and made it a very easy process!! Great experience would definitely refer family and friends to the ben white Blvd. And motroplais location if I could give them six stars they definitely get it! Keep up the good professional work guys! The surveillance is excellent.This fact gives peace of mind.When I Chwcked on my cube everything was just as I left it.The cubes are indoors and very clean.My belongings didn't pick up any extra smelliness that old dank musty oder.The staff was very curteous and genuinely kind, as well as helpful. Peace of mind,that's everything to me. This storage facility is really nice! Nice staff. Clean and secure facility. Easy access and super new and clean facility. Got the unit I wanted. Plenty of carts to move your stuff. 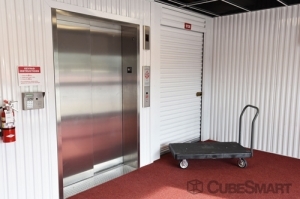 Large elevator and climate controlled units. This facility is brand new and has motion sensored lights throughout the hallways. Powered by solar panels, it is a very efficient storage space. Very clean as well. I'm satisfied with the space and customer service. Temp control is good. The bldg. appears very secure. Only issue is that cube smart needs to be more open about charging you insurance with your first payment. Apparently that's in small print which most people don't see easily. The paperwork mentioned the administrative fee as the amt I would pay up front; the insurance wasn't mentioned in that amount. Zacary Crawford (manager) was AWESOME! This place really surprised me. The best personal storage place in town...hands down. Zacary Crawford was the best! The truck they have saved me from making dozens of trips! 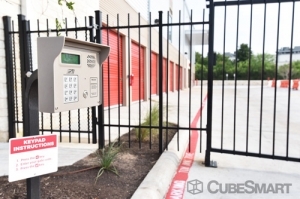 We recently moved from another storage facility where we were paying twice the rent Cube Smart E. Ben White asked. Very clean facility and courteous staff. Everything was perfect until I unlocked my unit saw broken glass, dirt & trash still remaining from the previous owner. Didn't have time to complain to the office so I just swept it up myself. Upon arriving on my move in date, I was immediately assisted. Within 10 minutes, I had my key and code and was able to start moving in my things. The place feels secure with multiple gates and keypads as well as cylinder locks for each unit. Inside and outside, the facility is clean and well-maintained, and staff was quick to assist when I initially couldn't figure out how to use the cylinder lock. 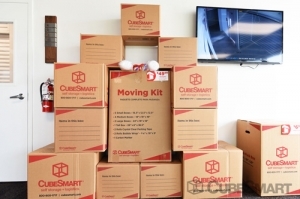 Cube Smart is really good, like the bonus of able to use their truck for moving big stuff. Place is really clean and good location too. the front office is very helpful and makes the move in process very simple. my only issue was that this morning I received a call about a payment (that I had payed) that they claimed I had not payed. Through the whole process, they were polite and undemanding. Would not mind working with them again. Wish they had some bigger carts and the having to enter the passcode is great for security, but to open sliding door then elevator when you have full hands can get irritating. Spotlessly clean, easy to access & friendly, helpful staff! We couldn't ask for more. Management, professionalism and cleanliness. An excellent place. Love this place already! Just moved in, but great storage space. I will always rent at this facility in the future!!! Spotless facility. Incredible customer service. Price could not be beat! Why rent anywhere else? 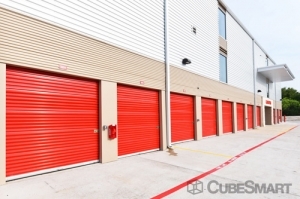 Best storage facility in Austin! 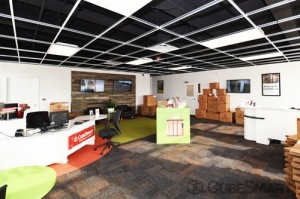 Every part of the CubeSmart process was smooth, streamlined and professional. The storage facilities are brand new and the free dollies were a perk and a back saver. Definitely the best storage experience I've ever had. Matt is the manager and he did a great job for me. The facility is nice and new, clean and well-lit. Cube Smart was more than I expected to walk in to. Very clean, extremely friendly and helpful staff. I am glad I have chosen them to do business with. 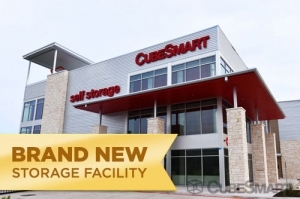 Great storage experience in SE Austin at the East Ben White location. Want to thank Druzella at Cube Smart for helping me go over options, being so friendly and clear and finding the best fit for my needs. I've had some less than satisfactory experiences at other local and national chains, but everything here was first rate - clean, new, energy-efficient (good HVAC) strong security, and lots of moving dolleys and great pricing too. Fantastic customer service, super clean, and easy to move into. Really enjoyed the manager Druzella who helped me get set up. She explained everything perfectly and was super sweet and fun. Great location and super clean facility. Great experience. My one negative is getting locked on the premises after 10 pm. They are not lying when they say everything shuts down at 10. I couldn't get access to leave through the security gate. It was 10:05 pm. Upside, we were let out remotely by calling the 800# on their door. All in all, pleased with this company. Friendly staff. Clean facility. Easy access. Would recommend to anyone needing storage space. 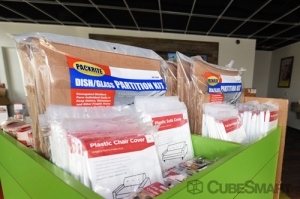 safe and affordable place to store your things! Customer service was great. I went in thinking i wanted a certain size yet needed a different one. The gentleman quickly showed me other options and at a great price! Place is clean and well organized. Customer service was great! Manager was very friendly and helpful. I got a good price with spare foot. So far everything has been clean and customer service has been great. Five stars for Matt! Fast service meant earlier move in! Thank you Matt! Online reservations were very easy. Did it all through my phone!!! Great rates too! 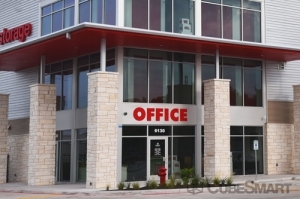 Cube Smart had a great location for easy in/out even during traffic times in Austin! Staff was extremely helpful and great with my two young children while I was filling out a small amount of paperwork. Highly recommend this facility! A pleasant experience, I was might by the manager agreed on my move in day. She was very pleasant and very theral and very helpful.